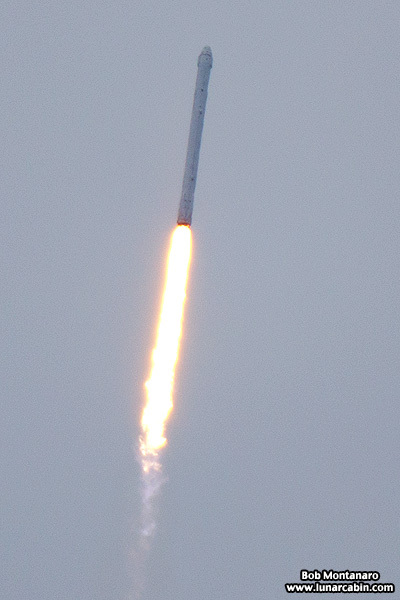 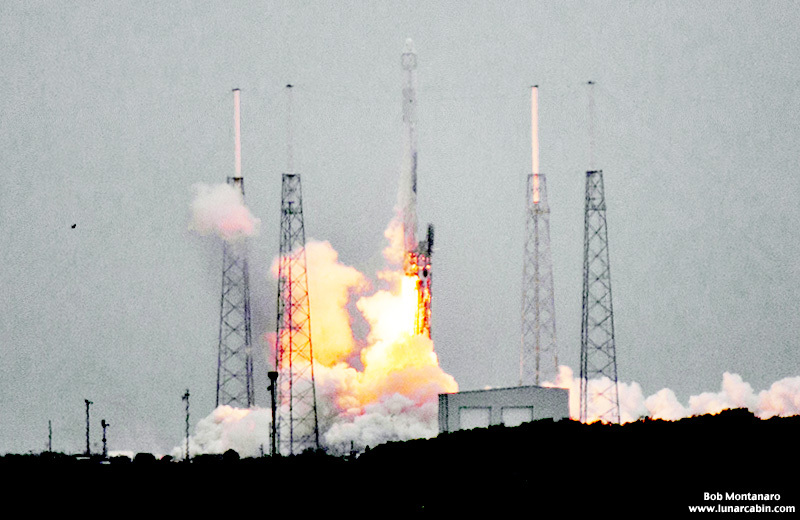 Terribly overcast conditions for photography prevailed during the launch of SpaceX's third commercial resupply flight to the International Space Station lifting off at 3:25 p.m. on 18 April 2014 from Space Launch Complex 40 at Cape Canaveral Air Force Station. 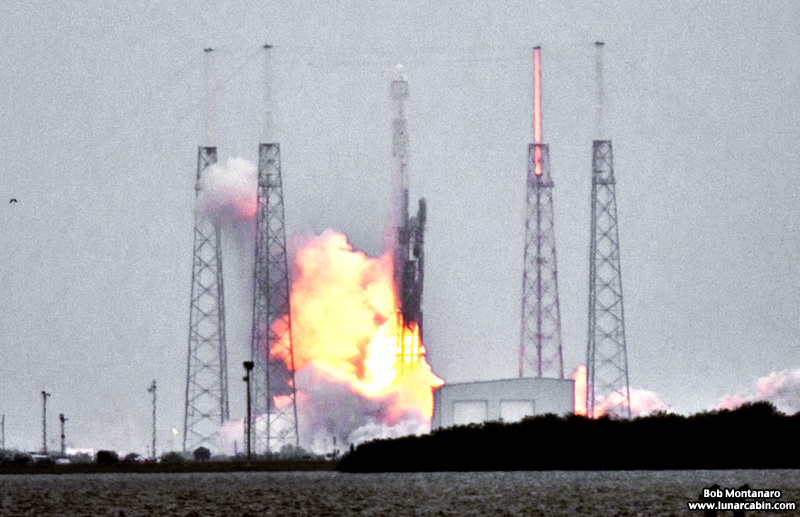 The images below show the security helicopter making a pass, then a series of images of the launch of the Falcon 9 rocket carrying a Dragon spacecraft loaded with nearly 5,000 pounds of supplies, experiments, and other hardware bound for the space station. 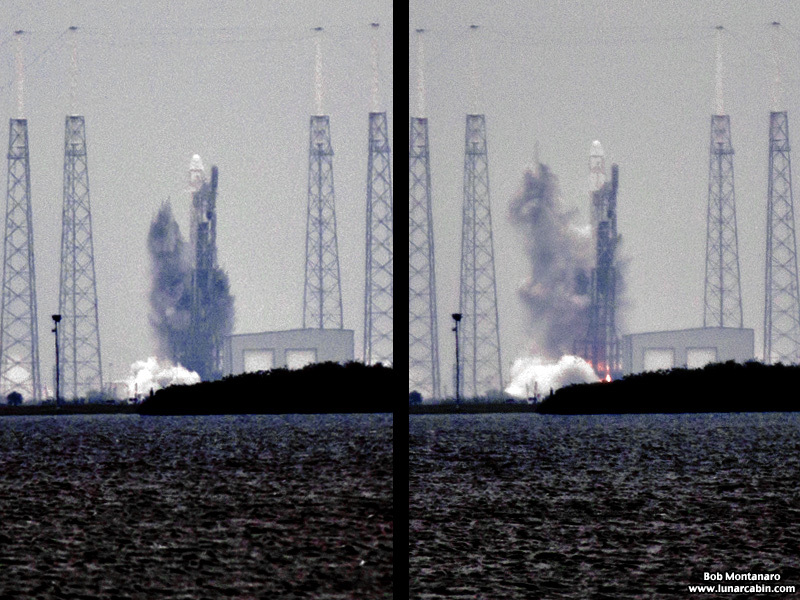 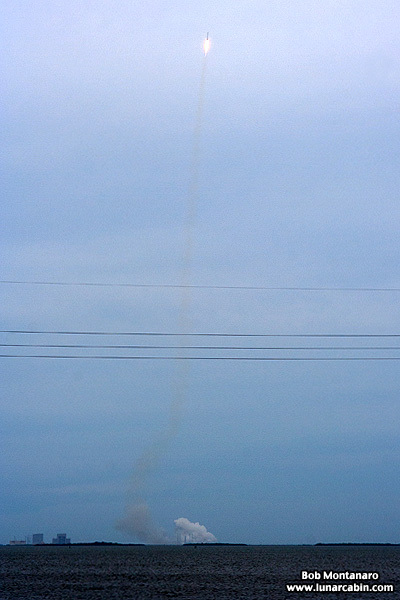 The blast of ignition causes water puddled around the pad from the passing storms to shoot into the air.